Join us this summer on the beautiful ‘Big Valley’ area of the Fremont-Winema NF as we hike through Oregon’s past! Big Valley is a unique and archaeologically rich region on the eastern edge of the Forest. Sites associated with the valley were originally recorded in the 1970s. PIT volunteers and Forest archaeologists will document and update archaeological sites by performing surface survey and up-to-date site recording activities, which will include site measurements, photography, and artifact identification. 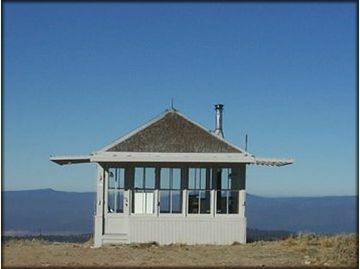 On alternate days, half the volunteers will travel to different locations on the Forest to record – with drawings and photos – the valley’s historic fire lookouts. In short, by the end of the week volunteers will have spent equal time engaged in both site recording and documentation and inspecting architectural soundness and photo documentation. We hope to see you in July!